There is an “ongoing and active criminal investigation” happening today at a Columbia Pike apartment building. 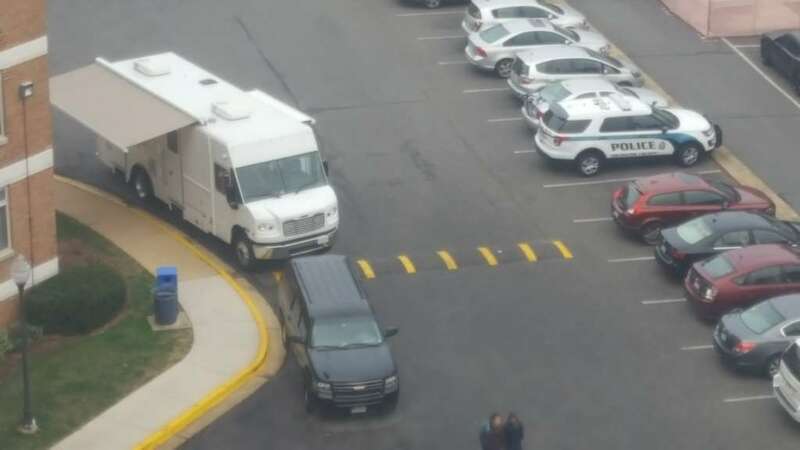 Arlington County Police, Virginia State Police and the Immigration and Customs Enforcement executed a search warrant this morning at Dominion Towers (1201 S. Courthouse Road), in connection with a criminal investigation, a police spokeswoman said. Police are not releasing additional information about the investigation at this time, Savage said.